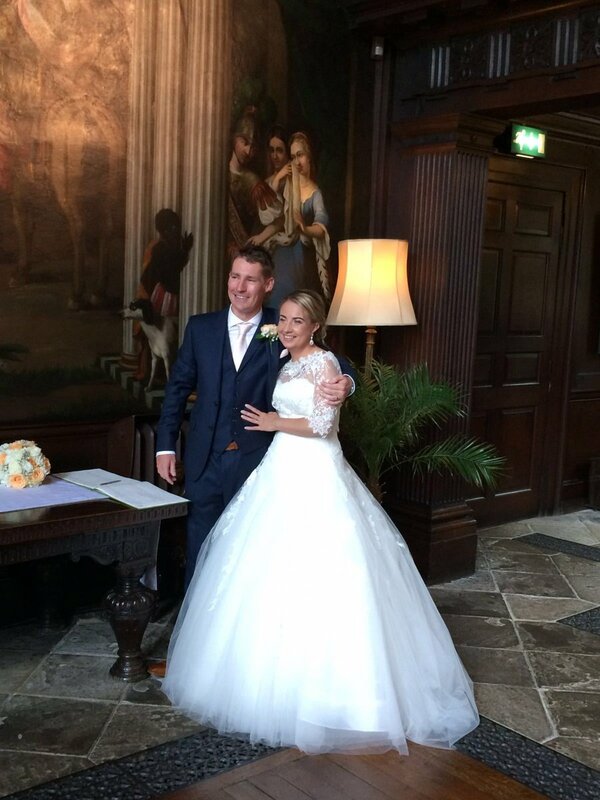 On 9th July 2016, Paul and Leanne got married. 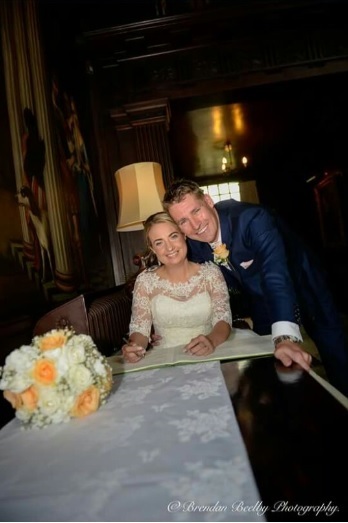 The fabulous newlyweds chose to donate money to Stockport Mind instead of receive wedding gifts. “Hello My name is Linda McGrath. I have been a carer for 20 years and a volunteer for over 8 years for two organisations; one Stockport Mind, the other Pennine Care NHS Foundation Trust. Twenty years ago we had a normal life, with no idea of mental health issues until my son started to have problems. We were part of the community who knew nothing about carers and how it just doesn’t affect the parents but the whole family; sisters, brothers, uncles, aunties, grandmas etc. Two years ago my younger son Paul announced his plans to marry Leanne and all the family were very pleased after 8 years of waiting. Then they announced they didn’t want any presents just donations to Stockport Mind and The Christie Hospital, which made us all very proud of them both. We would like to say a massive thank you and congratulations to Paul and Leanne for thinking of us when they decided to donate to us instead of receive wedding gifts. Also, thank you to Linda for volunteering for us and spreading the word of all the good work our staff do to support people with mental health problems and carers of people with mental health problems.